When you reach for a pair of utility gloves in the winter, do you feel like you have to choose between warmth and performance? Ultra-warm gloves often aren’t made to grip, rip, carry and build, while super-tough work gloves fall short in the warmth department. RefrigiWear is all about eliminating those problems for you. When you reach for a pair of our gloves, you should know that they’re prepped and ready for extreme weather and hard work. No compromises. If you’re in the market for a pair of hard-working gloves to keep you warm and help prevent cold stress on the job, you’ll find the perfect pair for you in the list below. 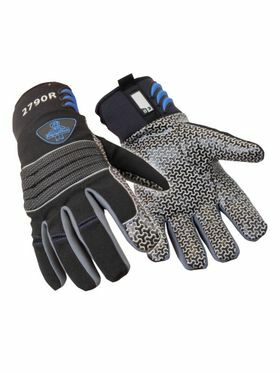 These gloves are designed to excel in demanding, utilitarian environments, from construction work to shoveling snow, to cleaning out the garage. 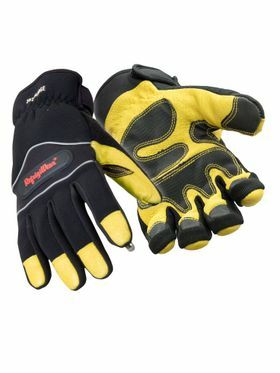 The gloves recommended below are specifically designed to perform well in sub-zero temperatures, so they aren’t ideal for mild or warm environments. But they’ll keep you warm as the needle drops! Extreme Freezer Glove with Touch-Rite Nib –They are called Extreme for a reason. These are the toughest and warmest touchscreen work gloves on the market, thanks to the silicone grip, impact-protective construction, and 100 grams of Thinsulate They are equipped with a Touch-Rite Nib, which allows you to easily use touchscreens and keypads without removing your gloves. Don’t choose between protection and accuracy with these gloves designed for the modern worker. Ergo Goatskin Glove with Key-Rite Nib –Have a job that requires working on keypads, tough materials and heavy machinery all in the same shift? These warm gloves can have the Key-Rite Nib placed on any finger, so youcan easily use keyboards and devices with keypads and stay protected from subzero temps. 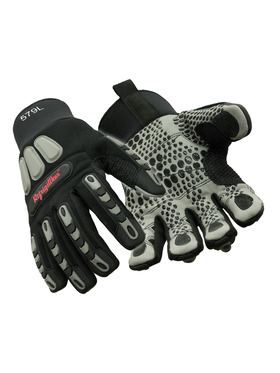 They’re ultra-warm and durable, thanks to the goatskin grain leather and spandex outer shell, as well as the protective pads on the knuckles. Each pair has three layers of insulation for exceptional warmth. ArcticFit Max Glove – Made to take a beating, these high-quality gloves are perfect for those who work in tough, physical jobs. Seal out the cold with tough insulation paired with a warm polar fleece liner. Excel on the job site thanks to added dexterity and grip, plus impact protection on the knuckles and wrists. 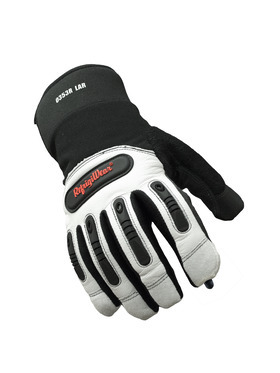 Don’t worry about the cold or the tough conditions – with these gloves you can just focus on getting the job done. 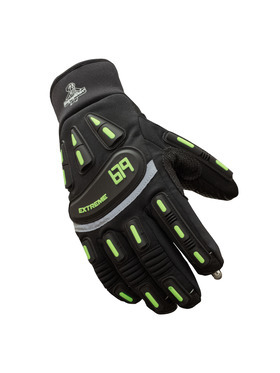 Insulated Impact Pro Glove –These are the warm, impact-resistant gloves you want when you need next-level protection. Each pair is made with all-around impact protection on the fingers, knuckles, and backs, plus a spandex back with a synthetic leather palm for extra dexterity. They’re up for the cold, too, with 100 grams of Thinsulate insulation keeping you warm down to -20°F. They also have an anti-microbial finish, so they stay clean and fresh in the face of constant sweat. At RefrigiWear, we have 65 years of experience in the winter workwear market, so we know the cold. Make sure to explore our complete selection of cold weather gear to discover jackets, coats, hats, pants and more that follow the same philosophy of providing real-deal warmth coupled with next-level utility, durability and performance.